I also LOVE kids! Anyone who knows me knows that. I have a HUGE heart for kids and an even bigger heart for seeing kids get excited about a relationship with Jesus. I love kids’ praise music (any other Psalty fans out there? Go Fish Guys? Mary Rice Hopkins?? I could go on, but that’s another post for another day…). I love teaching kids about Jesus. I love helping kids hide God’s Word in their hearts. I love praying for kids and with kids and encouraging others to pray for and with kids. 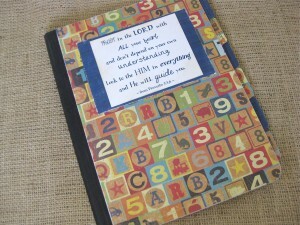 So…the idea of making a prayer journal designed with kids in mind was a natural next step for me. With a Mustard Seed Prayer Journal you can help plant tiny seeds of faith in the heart of a child and then watch that faith grow as they experience God’s faithfulness through prayer. Maybe my excitement for seeing those mustard seeds of faith take root in the heart of a child comes from the fact that Jesus saved me at a young age. I know from personal experience what a blessing it is to have adults in your life who sow and water little hearts. Throne of Grace loves to see our customers get excited about living life as a faith-filled prayer warrior – and nothing is as wonderful than seeing that happen in the life of a child! If you’ve loved our Legacy Prayer Journals, than you will love this streamlined version that is perfect for kids (or adults who like to keep things simple)! We have repurposed those boring little composition books and transformed them into something to treasure! 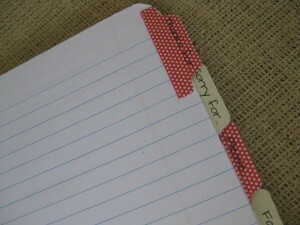 The journal is divided into 6 tabbed sections labeled “Thanks for…”, “Sorry for…”, “Please…”, “Family”, “Friends”, and “Others”. Just as with our Legacy Prayer Journals, the goal is to help break up prayer needs into manageable sections. In addition, the tabbed sections help you teach children to remember to praise and thank the Lord, confess their sins, and then lay requests before Him. In addition to seeking answers to their own needs, they are also given opportunities to remember others in prayer. 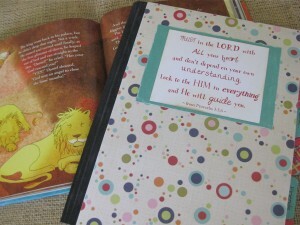 We hope children of all ages will be blessed by these Mustard Seed Prayer Journals! If they are old enough to speak, they are old enough to pray. If your child is too young to record his or her prayers, then let the prayers be dictated while you do the recording! How sweet would that record of your child’s earliest prayers be? So now for the GIVEAWAY!!! 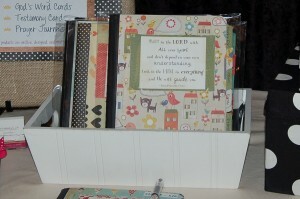 This week, Throne of Grace will be giving away one Mustard Seed Prayer Journal to one of our wonderful blog friends! What do you have to do to enter? JUST SUBSCRIBE!! If you haven’t already, use the box near the top on the right ——-> to enter your email address and subscribe to receive the Throne of Grace blog posts to your email inbox. All subscribers as of 9 pm (PST) on Monday, September 3rd (Labor Day) will automatically be entered to win. Winner will be announced on Tuesday, September 4th. Go on, what are you waiting for? SUBSCRIBE, already! Oh…yes…the question of the day! 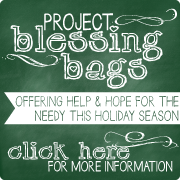 Who would you like to bless with a FREE Mustard Seed Prayer Journal? Leave your comments below…Then don’t forget to check back tomorrow for Wednesday’s question of the day! My children of course. 🙂 but this also looks like something Hannah B would love. My two daughters, 7 and 9, are blossoming writers. I know they would enjoy putting their thoughts and prayers into this beautifully simple prayer journal. What a wonderful way for my girls to end each day! I can’t wait to place an order and tell my friends about this wonderful tool you’ve come up with Molly. I love these! What a Holy Spirit inspired idea! My daughter Megan! She started kindergarten last week and I love this idea for helping them learn how to pray! Love it Molly! I can’t believe Megan is in kindergarten now! How did that happen so fast? We need to get together and catch up! My little Dani is young, I know, but I would definitely use this prayer journal with her since she’s recently been praying “out loud” with me and Daddy. =) Her prayers are pretty funny at times…more like a list of things she likes. Helping her learn how to structure her prayer time would be very helpful for her little heart.